I’m starting this series of vegetarian posts with a recipe that I created. 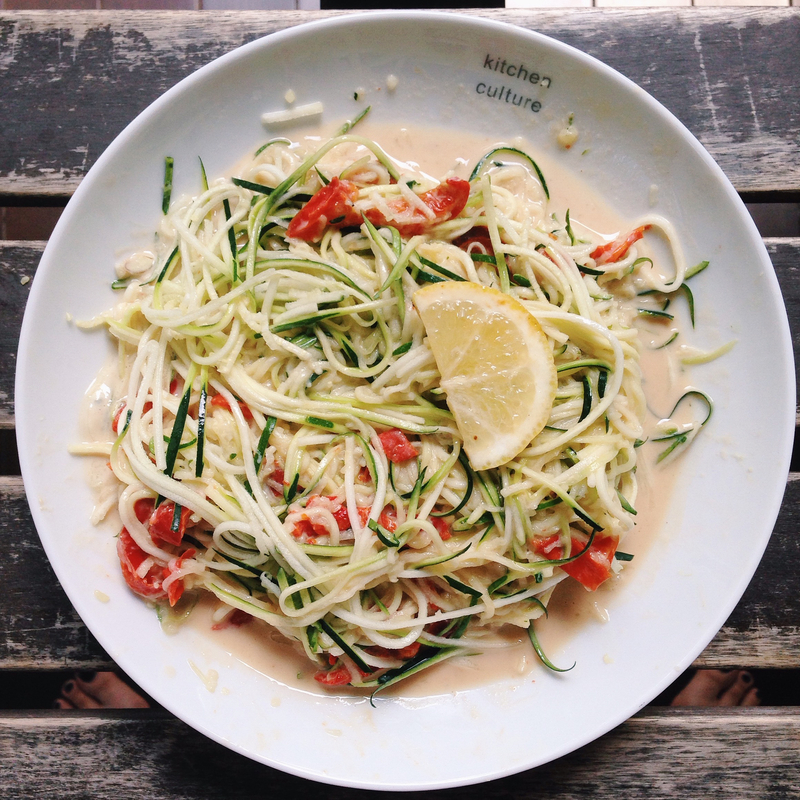 Inspired by the various posts on loveandlemons.com of zucchini noodles, I was super excited when I found a zucchini lying around in my fridge. Basically I created this recipe based on what I could find in my fridge. Forgive the randomness but they taste quite unusual and healthy together. 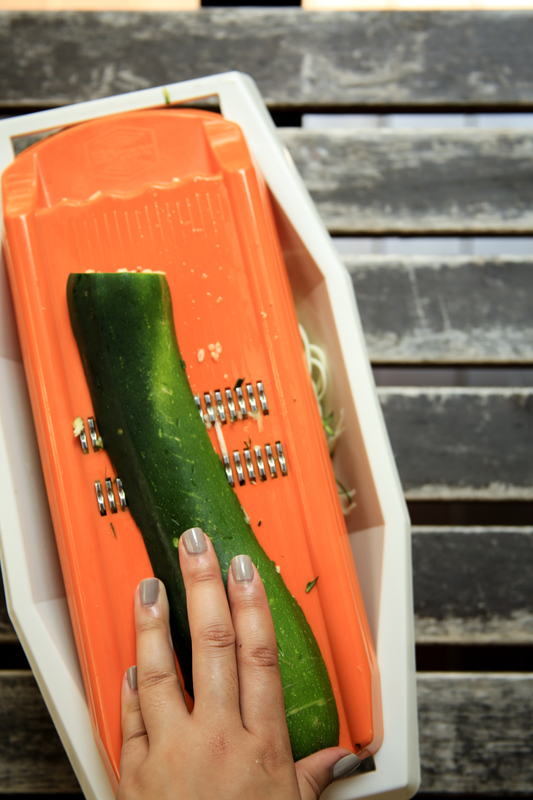 I used a grater-like gadget to julienne the zucchini into long strips that looked like pasta. It’s awesome that you can trick your mind into thinking that you’re eating some kind of pasta when actually all you’re eating is vegetables. 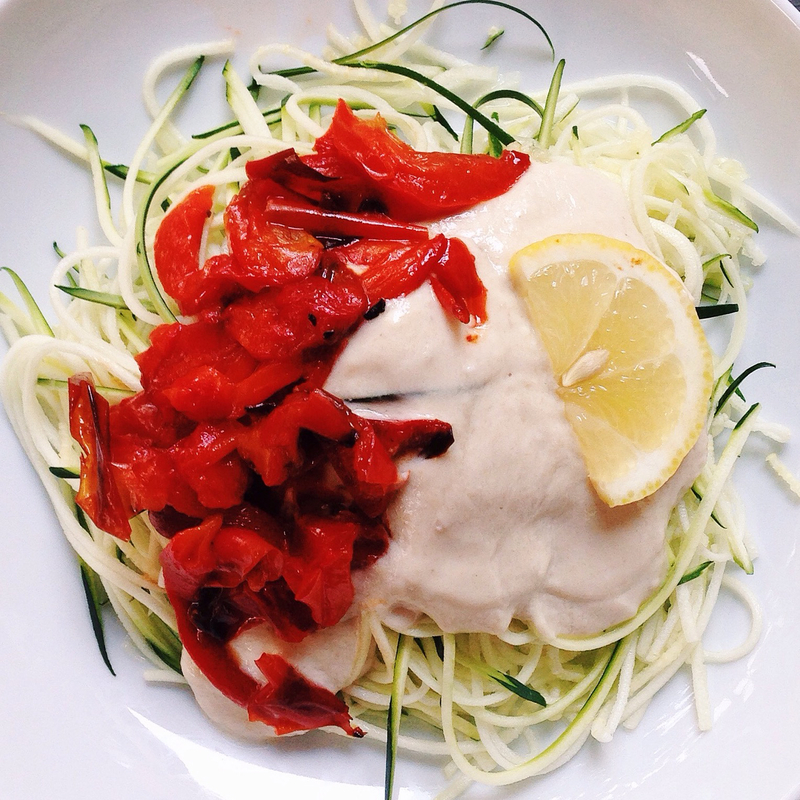 The julienned zucchini was surprisingly soft and felt like al dente pasta. It didn’t taste like raw vegetables at all. The sauce was made from tahini, yogurt and honey. I didn’t just want a regular tahini, olive oil, lemon juice dressing so I amped it up a bit with yogurt and honey. My favourite part of the dish was the roasted red pepper with its charred parts because it added flavour, texture and colour to the dish, elevating the entire dish. It’s my first time coming up with my own dish, and it’s all vegetables so I doubt many will try it out. But hey, it’s quite a cool unusual combination! 2. Roast red peppers and the entire clove of garlic (with skin on) in the oven at 200 degrees celsius until the skins of the red peppers are charred. 3. Julienne the red peppers. 4. Combine tahini, yogurt and honey in a bowl. 5. Squeeze the roasted clove of garlic into the bowl. Mix. 6. 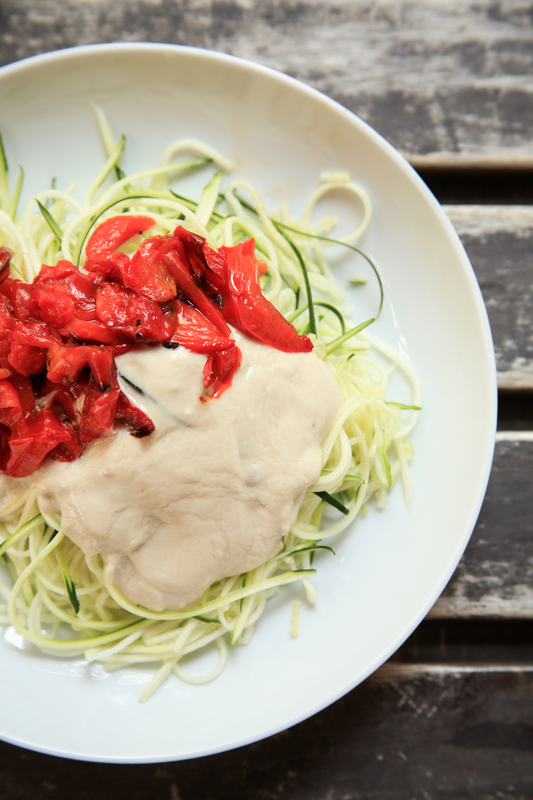 Combine zucchini, red pepper and tahini sauce.